Signature :MUMEI (UNSIGNED) ATTRIBUTED AS SHINSHIN TO JYOMYO. Aoi Bijyutsu Syosin (genuine ) Kanteisyo: NBTHK Hozon Token. Blade length :　69.6 cm or 27.40 inches. Sori :1.8 cm or 0.70 inches. Width at the Kissaki : 2.33 cm or 0.91 inches. Kasane : 0.765 cm or 0.30 inches. and thick with deep sori and longer kissaki. but there are some lose hada and small openings. Hamon :Niedeki gunome midare with ashi and Yo, sunagashi. 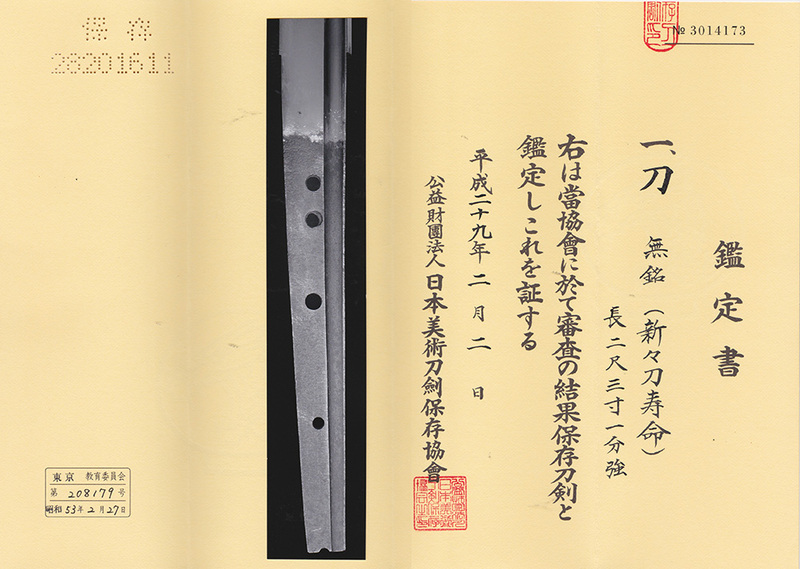 shinshinto Jyumyo which looks like Koto blade. Saya :black brown color saya. a dragon and waves are engraved. Menuki : A cow is engraved by copper plater. we find out the blade looks not so old. 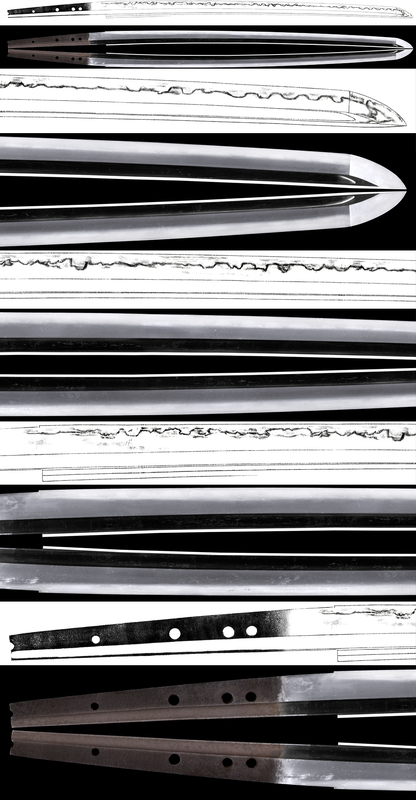 It is said that Mumei swords are not Gimei sword. so Jyumyo swords had been welcomed by Samurai. but the sword is nice for Iai practice, kansyo and so on. Koshirae is also well balanced for this sword. Aoi Art estimation paper : NBTHK Hozon Token: whole Oshigata.